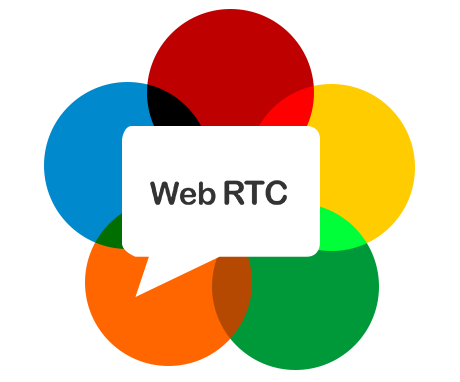 WebRTC is the today's trends. It all started with regular chat, but the growing bandwidth options which are accessible, real-time video chat is being taken into a conversation because of the most effective means to communicate. It authorizes audio/video streaming and data sharing among browsers. A WebRTC-enabled browser permits users to place a call, take part in the multi-party video and audio conferencing, and engage in display screen sharing collaboration. Communication is the great asset for any kind of enterprise, but communication in the real-time is incredible. Right from Live Video Streaming, P2P video Calls and Mobile App Integration to Tracking and Recording the video chats for further references, the great idea to find the solution to many problems. When businesses try to be more engaged with customers, they face the most of the hurdles in this conversion process. WebRTC allows the organizations to overcome this challenge by allowing them to work remotely even. Supporting a worldwide enterprise with reliable video communications where employees are spread across multiple countries is the main motto of WebRTC. This doesn’t need to be developed on an entirely new infrastructure; it can build an infrastructure or use an existing Platform as a Service. We render complete WebRTC solutions by implementing Video Platforms as a Service. This helps businesses to stay ahead of the curve when it comes to advancing the quality and accessibility of products, and as the WebRTC standard becomes available in more browsers, we plan to build accordingly that can be acquired for a very reasonable subscription rates eliminating a large capital outlay and keeping implementation costs to a minimal. Designing the next big thing. For all those inventors who have plenty of grand dreams, the 9and9 Design in India challenge is custom built for you. Explore the opportunities the challenge provides by applying today. Brands availed our Digital connect services. © 2017 9and9. All Rights Reserved.